MassQC provides red flags for unusual conditions. 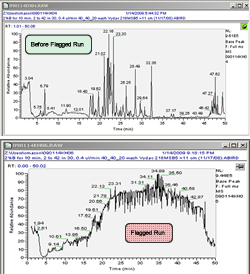 The latest LC-MS standard sample run shows a problem on the MassQC Dashboard: red flags. 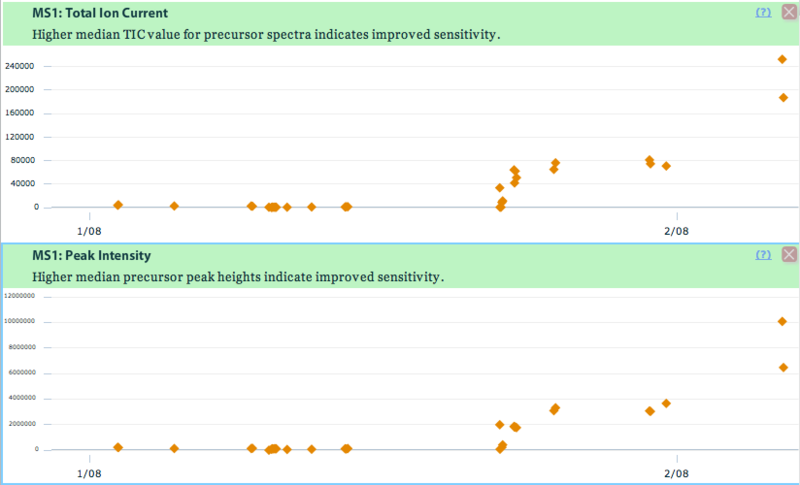 Both the Peak Intensity and Total Ion Current metrics are much higher than their normal range. 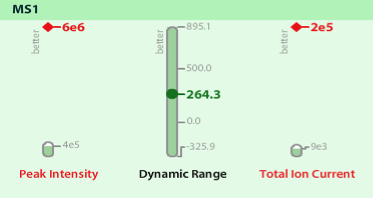 Click here to see side by side metrics. Looking at MassQC's Control Charts for these metrics shows how quickly they have increased from their historical values. Chromatograms before and after contamination. The results prompt an investigation of the TIC using Thermo's Xcalibur™ software. 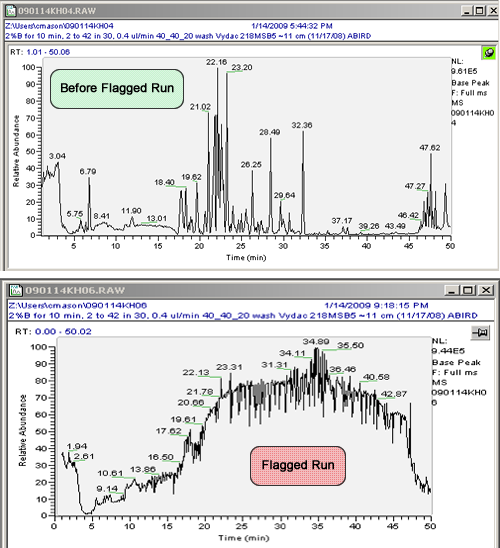 The base peak chromatograms for the standard run just before the metrics started climbing and for the run flagged by MassQC are compared. Looking at the chromatogram of the flagged run with Xcalibur's time vs. m/z map view shows the problem as streaks across the ion series. This is a contaminant. Further investigation identified the contaminate as iron-acetate clusters which probably arose from placing a metallic filter in the chromatography system while using acetic acid in the running buffers. 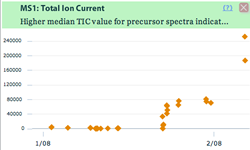 The MassQC Control Charts show that this series of ions built slowly over a period of runs.